Work for IBM Cloud Foundry? Learning about IBM Cloud Foundry? "IBM Cloud Foundry Review and Thoughts"
Here are some features that were useful to me and I think are best. First of all, it's open source cloud based platform. It's easy to manage the infrastructure of the applications. Application deployment and Scaling is impeccable. The Cloud is great way for sharing file and code among colleagues and other teammates.This feature particularly have been very helpful to me. Finally, the main reason I use IBM Cloud Foundry because it can deliver scalable micro-services and continuous deployment,faster cycle time and provides all that with high reliability. It's a great software by IBM and there are few like it out there in the market.There is nothing to complain about it. I would definitely recommend using IBM Cloud Foundry, there really are very few open source softwares out in the market that give the same features and functionality like IBM.It's mainly guided towards start up companies but for big companies it works fine as well.The pricing can be a little bit on expensive side but it's a well rounded software.It's fast,secure and reliable and allows the developers easy development and deployment of applications. 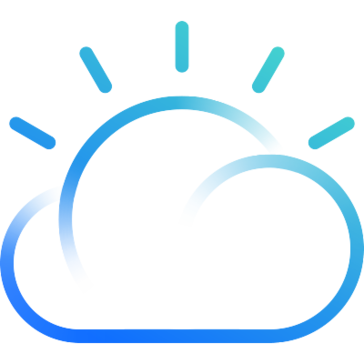 "IBM Cloud Foundry : Paradigm Shift in the Cloud Services Era"
IBM Cloud Foundry Product with Intuitive user interface and many capabilities that IBM CF provides from IBM and other vendors, including Watson services and autoscaling. In the catalog the 50+ categories that includes devops services along with MBass , IoT , BigData like current technology stacks makes it a leading industry product.Support for almost all leading frameworks and popular languages , including boilerplate apps to get started. It also offers Dockers as a container service. Limited Free Subscription: Limited free subscription for one month provides limited opportunity to use IBM Clound Foundry for a larger Proof of Concept. Documentation: some services like Speech-To-Text need clear documentation . Its highly recommended for Small Startups and individual developers to use IBM CF to reduce the time to marked and produce highly capable products using the vast range of services .Prototyping complex solutions using Artificial Intelligence or IoT can be implemented seamlessly using the services of Cloud Foundry. Agility : It allows developers to focus on delivering value to business and elastically scaling environment easily without spending much effort on maintaining the environment for development. "Fast , consistent and reliable Development of Applications." IBM Bluemix was initially based off Cloud Foundry's open technology. It is a cloud computing platform as a service that supports the full lifecycle, from introductory improvement, through all testing stages, to arrangement. Cloud Foundry introduces the concepts of Organizations which we like the most and it contain Spaces which you can consider as workspaces. Diverse spaces commonly correspond to various lifecycle stages for an application. Some functionality are not scalable as OpenWhisk . And our application has to be stateless, so for most of them this is really a good thing but it is a disadvantage . Developers use Cloud Foundry across each stage of the application improvement life-cycle, a holder based design suited for a multi-cloud condition. That conveyability translates to a capacity to use the cloud platform that is the best fit for the application, without refactoring the application itself. IBM Cloud is a Cloud Foundry Certified Provider for its progressed PaaS capabilities. IBM Cloud Foundry Functions are great tools to actualize transformation, in a 'serverless' way, where the custom rationale is hosted on a completely overseen and elastic cloud platform which makes our task in association considerably easier and scalable . "The safest backup in the cloud is with IBM"
This application or software is designed to a population so to speak of companies which handle government guidelines or internal guidelines, ie very delicate companies where you can keep the information safe through ibm cloud foundry, additionally, you have the ability to merge with other software ibm. Ibm continues to surprise all customers to develop and cover all the spaces for a company to work in an armored way and have effective and efficient tools, in my opinion nothing negative, on the contrary I think they are every day armoring as a company to be the owner of the software that use companies completely. "Get solutions for your business problems." The thing which i was impressed most is that with cloud foundry we can easily isolate or multiply our IBM platforms on our demand instantly. We can also run it with our account in the IBM and the full control is in our hands these makes it different from other softwares.without tied to the provide we can move cloud to cloud by using The IBM cloud foundry. The main problem faced by me is that my device gets hot and laggy while using these software .I hope these will be rectified during the following updates. By using IBM cloud foundry I save a lot of time it helps me in managing my office works smoothly and we can use our own apps without tied to the provide. "IBM Cloud Foundry - A combination of PaaS and IaaS"
IBM Cloud Foundry provided solid execution comparable to the next cloud services tested. IBM Cloud Foundry presently has 60 data centers far and wide. That means you can use IBM Cloud anyplace on the planet you may have an office. IBM Cloud Foundry delivers data center and cloud services plus significantly more. The multifaceted nature of some of the solutions is such that you're presumably going to require IBM's services to exploit the most progressive applications. Absence of automation in areas and comprehensive administrative control plan . Also , it doesn't beat contender Amazon Web Services (AWS) in our IaaS solutions . Execution test the infrastructure to ensure an easy method to contrast with your on premises servers . Also , the integration of the IBM Cloud Foundry with other IBM services is very dynamic and scalable . IBM Cloud Foundry lets us use the company's Infrastructure Management System (IMS) to control it. Anyway our essential interface will be the IBM Cloud Catalog for most activities. Provisioning and de-provisioning, logging, charging, and alerts are altogether done through the Cloud Catalog. IBM Cloud Foundry also includes an IMS application programming interface (API) that exposes the cloud's each ability using Representational State Transfer (REST). In short , it's moderately easy to incorporate the IMS into your existing, electronic infrastructure management tools. "IBM Cloud Foundry - Deploy and Scale Apps"
As a software developer , I discovered learning IBM CLoud a battle, and it was troublesome in designing a PaaS benefit .Also , Phone support and Uptime isn't same as AWS . The IBM contenders have a large number of the highlights of Bluemix in disengagement, however neglect to coordinate them effectively. Bluemix empowers our designers, and our customers' engineers to be substantially more independent and quickly convey code. IBM Cloud Foundry incorporates runtimes for Java, Node.js, PHP, Python, Ruby, Swift and Go; plus, Cloud Foundry people group assemble packs are additionally accessible. Joined with DevOps services, the application runtimes empower a conveyance pipeline that automates a significant part of the iterative development process. Without tied to the provide we can move cloud to cloud by using The IBM cloud foundry. The thing I like most with cloud foundry is that by using it we can simply isolate or multiply our IBM platforms on our demand instantly. The most attractive thing is that it all run with our account in the IBM and the full control is ours unlike other software. While using IBM cloud foundry the device is getting hot and laggy. I think th is issue will be considered in the coming updates. By using IBM cloud foundry you can save a lot of time which helps you to manage our time and money. With the use of IBM cloud foundry I save a lot of time which helps in maintaining my office and we can use our own apps without tied to the provide. "Save time by IBM Cloud Foundry ." With cloud foundry we can simply multiply our IBM platform on our demand. The impressive thing is it run all with our account in the IBM and the full control is our unlike other software. We can also move cloud to cloud by using the IBM cloud foundry. We can save our time with IBM Cloud Foundry. Office works are maintained well. Intuitive user interface makes it user friendly. Support and help is highly available. It doesn't have search/querying capabilities in conversation service. It needs visualization capabilities particularly in conversation service. It needs annotation capabilities for dialog notes in conversation service. Development of information architecture/library and enablement of better classification/taxonomy, leading to more intuitive findability. - Annotation/labeling/clustering of information that will be retrieved using a different search/query Suited:service. As IBM Cloud Foundry has capability to integrate well with external platforms, APIs and programs with not just IBM services but with various other platforms, I could create new applications, migrate existing ones pretty smoothly. "Works well with managing multiple apps"
Web applications can be very easily deployed. It is user friendly! The part that helped me the most is that logs are accurately monitored and analyzed. IBM cloud foundry needs to be worked upon to make it relevant with changing updates as this seems to be inconsistent at times while we update to a newer version. It is always good to try new offerings that new apps like this offers. Very helpful in monitoring and analyzing the logs. "Cloud Foundry distro with real support"
CF is a wonderfully useful platform, but keeping up with the latest builds can be a real time sink for ops teams. Having support through our regular IBM channels is a time saver. CF is complex environment to build and run. That's not really an IBM issue, though. Supported distros can significantly reduce operational complexity. Working on making our dev teams more productive. Getting to a PaaS environment that gives the breadth of foundry is a great incentive. "good experience on cloud foundry"
cound foundry is very easy to use. we deploy our apps regularly with ease. it scales very well. the console is very user friendly. cli is also super good. "Best Cloud Platform in the market"
Okay. Firstly this product saves a lot of money and time. Cloud is the next big thing for any corporations and its paramount that these platforms are updated timely and IBM does this best. Even though there are issues with the user experience(making it harder to navigate), the level of scalability that it provides is provided by very few in the market. There is a need to work on the user experience. Also, if the prices can be lowered , there's high chance that medium range organisations adopt to this platform. Please improve the user experience. Most for private data storage and to provide support to our services. "Ease of deployment for developers." Developers simply focuses on their code without the need to dive into infrastructure or platform related specifics. In comparison to kubernetes, our developers do not need to worry about the operational aspects of a deployment. Such as which base images to use, managing of these images, and creating deployment files. Differenciating documentations between IBM Cloud Foundry and Cloud Foundry (OpenSource) can be confusing. When troubleshooting an issue such as CVEs, where a specific jar file has been flagged for vulnerability, it is unclear who to contact for further assistance. Creating a fast track and simplified path to the cloud for our developers. "Reliable service and easy to use"
Easy to manage and deploy applications. Fast scale when needed. Perfect for devops operations. I have been developing mobile solutions for companies of different sizes, and using cloud foundry helped me to simplify the environment for the API's required for these projects. "Best Product for Cloud Computing"
The IBM Cloud Foundry platform is not just about creating new apps or migrating existing ones, on-prem or off-prem implementations, or offering IaaS and PaaS cloud services. It's designed to bring all of these aspects together to help you solve your real, complex business problems in the cloud. There are three key apps we’d like to focus on for the Cloud Foundry Enterprise Environment. These examples show how apps work on Cloud Foundry and on this isolated Cloud Foundry Enterprise Environment, and they also provide proof of the great application deployment capabilities. "very useful tool for collaborating the work remotely "
Although there are many cloud softwares available in the market, this one is pretty quick and efficient. We are a team of 15 developers and this comes very useful especially during that time of deployment where you can work remotely and update the code to the cloud. This just works best. Nothing to dislike. But a clear walkthrough can be given of other tasks which can be performed. Collaborating and updating code, sharing files and apps. "Great way to organize the code "
This cloud is a great way to share the code with your team members and helps while deploying the code while giving build to the web application . It has a quick turn out time and is highly reliable. I was using this to deploy the front end code of the web application. It is a great way to collaborate and enhance the code. "IBM does is very well indeed." Cloud Foundry without the lock-in you get from those "other guys"
It would be nice if there was a full .NET, not just .NET Core 2.0. However, it's a limitation of CF, not IBM. Consider making your code base cloud-native. Most of them! We're refactoring away over a decade of technical debt into a cloud-native code base, and along the way we're training developers on the latest in Agile and DevOps. "watson NLP in Cloud Foundry"
Once we got cloud foundry set up our developers had a fairly easy time building Watson POCs. When we initially started with Cloud Foundry we had difficulty provisioning our environment as we are a microsoft shop. We had to setup a linux workstation to work though the setup. Not sure if that has changed. We used Cloud Foundry to test blumix services. Get to understand the services and build POCs. "Sharing content has never been easier than this"
This has made my work a lot better considering the fact that I have to interact with my team members from another location. Although there are many cloud applications are there in the market, this one has been the most quick and reliable one. I have not found anything to dislike. However it needs marketing. Not many people are aware of this. Solution helped our company develop application for our client. We were able to develop faster. Helped us focus on development aspect taking away the burden of server configuration and its management. Ease of use and seamless app deployment. And it's open source. I would rather pay less for an other service if I am not using all the features of this product. I think it's a tiny bit pricey. General web app deployment and maintenance. I am trying this product out still. "The best thing for managing multiple apps"
The best part is the way logs are analyzed and monitored. The other thing is how easily the web applications can be deployed. Sometimes it isn't consistent while we have a newer version of the app and the same has to be synced to limited in numbers. "Poor stability on Cloud Foundry platform"
It was an unstable product, constantly failing and causing disruptions for our customers. We used it as part of our digital transformation journey at the company. Improving our customers experience. "Great product for sharing and updating the work from remote locations"
This makes everything so much easier when you work remotely and have to share files with your team members and update the code in a single location. DEployment of code, sharing apps and files. "In conjunction w/ Mendix platform"
Seamless app deployment and scaling. And its open source! It is bit on the higher side considering prices compared to other cloud services. General purpose app deployment using various services. I am just trying out this service for now. "Offers easy to deploy and manage apps"
Offering more options to edit the apps from the list view. Hosting apps in an organized way by regions, space for our growing infrastructure. "great for sharing files "
education Website deployment has been made easy . * We monitor all IBM Cloud Foundry reviews to prevent fraudulent reviews and keep review quality high. We do not post reviews by company employees or direct competitors. Validated reviews require the user to submit a screenshot of the product containing their user ID, in order to verify a user is an actual user of the product. Hi there! Are you looking to implement a solution like IBM Cloud Foundry?